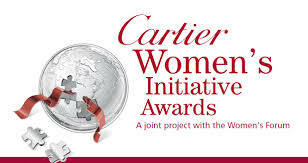 Posted on January 22, 2015, in Africa, Career, Gender, Women, Girls, Global, Opportunities and tagged Cartier Women's Initiative, Cartier Women's Initiative Awards. Bookmark the permalink. Leave a comment.